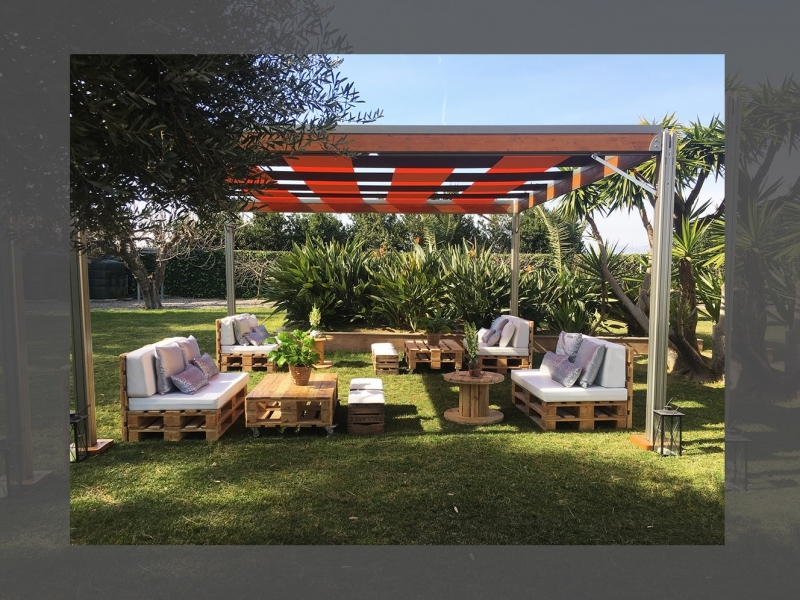 In Eventop Carpas, we are manufacturers of tents and platforms of Barcelona, ​​and we have a wide experience and a high quality of finishes in all our products, attending with great success and punctuality to the needs of coverage, temporarily or definitively, to individuals and companies. 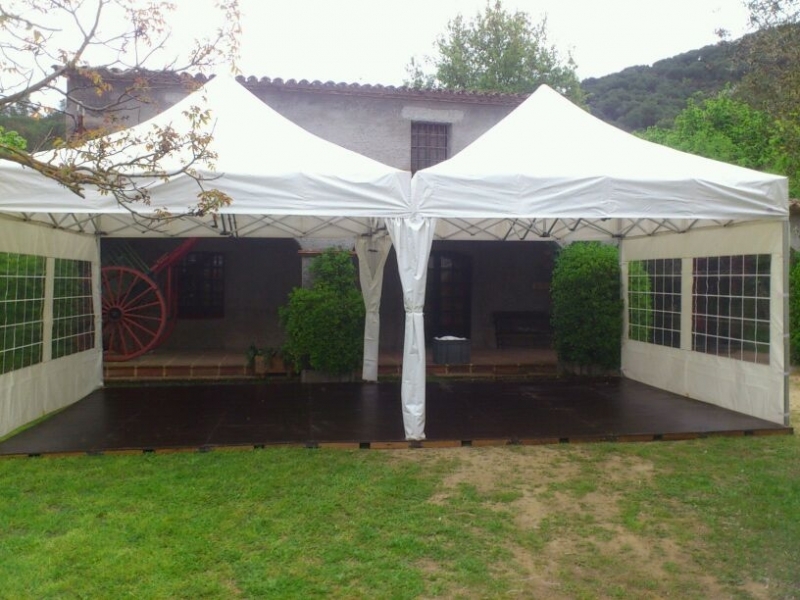 We are specialized in the sale and rental of tents and platform rental. Our activity is managed by an experienced team of professionals, with our own assembly and maintenance teams that install the best environment in the chosen location, guaranteeing our clients the most detailed information and the best service before, during and after the event. with the guarantee of an impeccable material. Where do we install tents for events? We carry out all types of tents rental in gardens or any place outdoors but also indoors, serving the main companies and national and international organizations. The tents confer unique spaces to surprise and cover the guests from the sun or rain. We elaborate the proposal that best fits to meet your needs when renting tents for events, renting tents for weddings or renting tents for celebrations. We also have exclusive and approved wooden tents, "VIP Tents" for your event. All events require adequate complements to meet their needs, so we have rental of sunshades, rental of scenarios, rental of catenaries, lease rental, chill out furniture rental, portable toilet rental, air conditioning rental, rental of platforms, rental of dance floors, or even coverings of swimming pools. Focused on the highest quality, we comply with the requirements and specifications required by national and international safety regulations adapting to current needs and technologies, we have high quality services and competitive prices while respecting the environment. For security and regulations we use counterweights, manufactured by ourselves, as a means of securing all our tents (if it is not possible to anchor them to the ground or attach them to the environment). Because in Eventop Carpas safety is paramount, we use approved structures according to European regulations and qualified personnel with specific training in mounts of mobile structures. Our tents are a guarantee of safety. 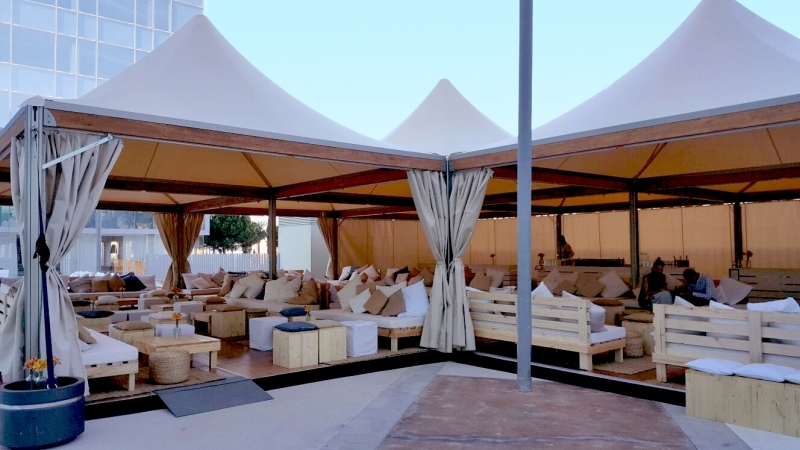 The beige color of our tents is one of the most chosen among our customers as it is an elegant, discreet and cozy color ideal for day events and especially recommended in summer as the sun shines less. We offer the beige color for the Eventop VIP and modular tent models.The tents with beige ceilings are preferred for weddings because of their elegance and luminosity. 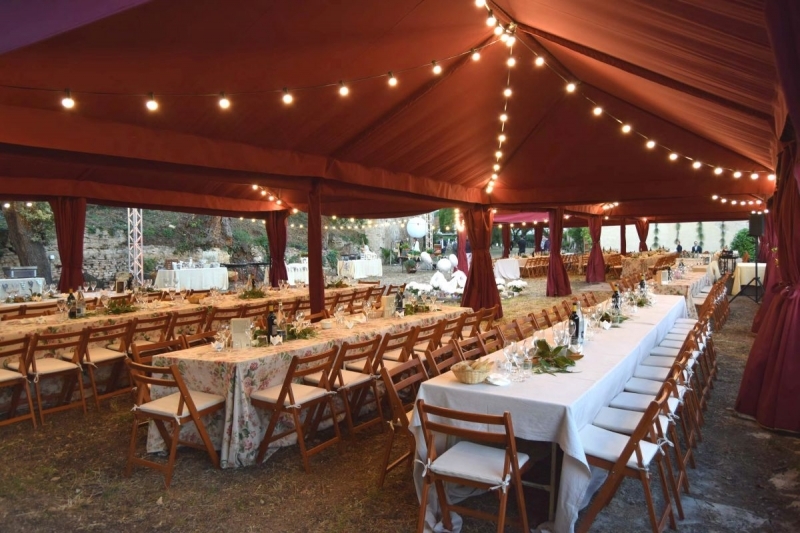 We offer the rental of Bordeaux color tents in our modular tent model, no doubt an elegant color that makes the difference in all types of events, whether weddings, celebrations, corporate or private events. We have black tents for Eventop VIP and modular tents. The color black is currently distinguished by being a fashionable color. Large brands have opted for the service of renting black tents for their events.The color of black tents is the color chosen especially for evening events due to its elegance. This year we present our new model of Shading tents, ideal to create shaded spaces and enjoy the outdoors. This model of tents has a variety of colors and combinations according to the needs of each event. Check our website in the Shading Tents section for more information.